Tlholisano etla nka likhoeli the tharo, ho fihlela mafelo a selemo sa 2016, mme khoeli enngoe le enngoe ena le sepheo sa eona. Joaloka tlholisano tsohle, melaoana e teng, e bale ka hloko pele u kenela tlholisano. Baahloli batla fumana monyetla oa ho hlahloba lits’oants’o mme qeto ea bona ekeke ea reseloa ke mang ka mang. Lihlopha li tlameha ho arola meputso, mme hobe le motho ea khetheloang ho amohela le ho laola kapa nepo moea oo KENELA HONA JOALE! 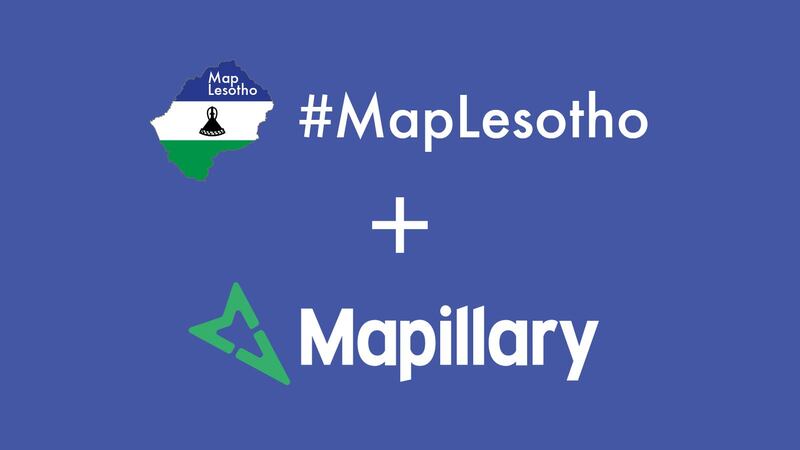 It’s competition month here again at #MapLesotho, this time it’s a different kind of competition, a photo competition with Mapillary! The competition will run for three months until the end of 2016, with a different objective each month. As with any competition where’s the fun without the rules, there are many so make sure you read them all carefully before entering. Judges will have a remit to look at quality and their decisions will not be appealed and are utterly final.